The festival of Shivarathri is celebrated by keeping a vigil throughout that night to thank god who had saved a hunter, who lost his way in the jungle. The Bible says that the Lord kept a vigil on the day of Passover and delivered the people of Israel from Egypt. In remembrance of this day and to honour the Lord, the Israelites in turn keep a vigil on this night every year. On this day, God instructed Moses to mark the main doors of their houses and the top and two side posts with the blood of the lamb, which was sacrificed by each family, as a mark of identification for the purpose of protection. These same markings with the red powder can be seen in every Indian house, even today. Another practice of the Hindus is to have a red powder dot mark or a long mark on their foreheads in between their eyes. In festival days they always tie a red thread on the forehand. This they call Raksha Bhandan (Covenant of Salvation). The Bible says, It shall be as a mark on your hand or frontlets between your eyes, for by a strong hand the Lord brought us out of Egypt Exodus 13:16. The ritual of dipping in holy rivers by devote Hindus during Kumba Melas in our country is done with the hope of cleansing oneself from his or her sins. This has been the practice in the bible and it is known as water baptism. Mat 3:6 And they were baptized by John the Baptist in the river Jordan, confessing their sins. Mar 1:4 John appeared, baptizing in the wilderness and proclaiming a baptism of repentance for the forgiveness of sins. They were to repent, and be baptized in reference to the remission of sins. Repentance prepared the soul for it, and Baptism was the type or pledge of it. While on a journey, Jacob slept for the night by keeping a stone as a pillow and dreamt, seeing angels of God ascending and descending on a ladder set between earth and heaven, and the Lord stood above it and blessed him. Next morning he took the stone, and set it up as a pillar, and poured oil over it,and he named that place as Bethel (house of God). In India also one can see the stone anointed with oil is being worshiped as “Shivalinga”. In the Bible, God told Moses to bring a red heifer without spot and kill it as a sacrifice for the Lord. Her skin, her flesh, blood and dung shall be burnt. This ash will be mixed with water and will be sprinkled on the body of the people, for the purpose of purification from their sins (Num. 19:1-9). During the Vedic period, three different kinds of sacrifices were in practice. 1.Nara(human)medhya(body)yagna(sacrifice),2. Ko (cow) medhya yagna,3.Aswa (horse)medhyayagna. For Ko medhya yagna, the cow should be a red one. Even today, if a Brahmin wants to do some ceremonial duty in his house, he will look for a red cow and do pooja before it. The sacrificial cow has now become a sacred cow, because cow is no longer sacrificed by law. Therefore, people burn only the cow’s dung and they collect these ashes and mix it with water and apply it on their body or generally on their forehead as “Viboothi”. In most of the Hindu temples, there is a pillar big or small in front of the temple, which is called “Yupa stamba” which was meant for tying the sacrificial animal, and there is an altar on which the sacrificed animal will be burnt to ashes. The three headed fork which is now called as “trishool” was used to position as well as to turn the animal’s body on the altar because the altar should not be trampled by anyone. Now since the sacrifices have been stopped by Government order this trishool has been kept standing in front of the temple and the yupa stamba in some places have become the flag mast and the stone image of the sacrificial animal (normally a bull) is also kept by the side of the altar. In addition, to collect and store these ashes, several types of vessels were used. In the Bible the Lord told, “you shall make its pans to receive its ashes, and its shovels and its basins and its forks and its fire pans; you shall make all its utensils of bronze” (Ex. 27:3). Similarly in the Indian temples also, all these vessels are made out of bronze. In the Bible, the priest, should be wearing the robe with golden bells so that, its sound shall be heard as he enters the holy place to minister the Lord and comes out of it. In the Indian temples also, when the priest goes inside the holy of the holiest place for prayer, he makes the sound of the bell and comes out with the sound of the bell. He should have his undergarments from the waist to the knee while offering sacrifices to the Lord. The priest should mention the name of the family and then sacrifice. He should wear an engraved plate on his turban saying,”Holy to the Lord” (Ex 28:31-43). Similarly the Indian priest also wears a piece of cloth from his hip to the knee over his clothing. When the people bring their offerings to God, he always asks them on whose name should it be offered? Because of the commandment that every food offering shall be seasoned with salt (lev2:13), it has become a practice to keep salt first at the time of feast. As it is required by the Bible that a lamp shall burn continually before the Lord (Leviticus 24:2,4), we see in the Indian temples also a lamp kept burning all the time. As the Bible says, that “God is a Spirit, and they that worship him must worship him in spirit and in truth (John 4:24)”, the Yazur Veda also says, “Nathasya prathima asityasya nammahastha(32.3)”, God has no image and His name is Holy. Also Mythreyi upanishad 2:26 says, “Pashanalogamani moonmayavigrahashi pooja punarjanana bohahari mumusho tasmatati: swahdayarja nameva kuyarta hayacharam parihareta punarbhavaya”, all those who desire to have salvation without taking several births, should worship God in spirit and truth. The Bruhat Aranyaka Upanishad says, Vagyo vai Brahma”, the word is Brahma (creator). Brahmavindu Upanishad says,”Shabdo vai Brahma”, the voice is Brahma and “Shabdaksharam Param Brahma”, the voice and word became absolute God. TheYazur Veda 32:45,46 says, Poorvam Purusham Jatam, which means in the beginning Purusha was there. The Bible says, “In the beginning was the Word, and the Word was with God, and the Word was God... and the Word was made flesh (Jesus)”. The sages believed in the trinity by saying God is sat, chith and ananda which is Sachidananda. Sat means truth, chith means knowledge and anand means joy. When a person comes to know the truth by Godly (spiritual) knowledge, he enters into eternal joy. In the Bible God is portrayed as Father, Son and the Holy Spirit. By knowing the truth (God) and accepting His Son Jesus Christ as our Savior, we can have the quickening of our spirit through His Holy Spirit and live for ever with the Father in joy and peace. We have seen the requirement of self realization in the Vedas i.e. the realization of the self (Purusha) who is the life (Jeeva) for the soul (aathma) is in us or part of us. To attain this stage, yoga, meditation and raising the kundalini etc. are being tried. According to Gnan Vidhi teachings, for self realization, a living enlightened medium in the form of an Avatar (Gnani Purusha) is required. Jesus Christ is that avatar and only through his sacrificial blood, our soul can realize this self, be justified and reconciled with the Holy and Just God, and attain Mukti (salvation). 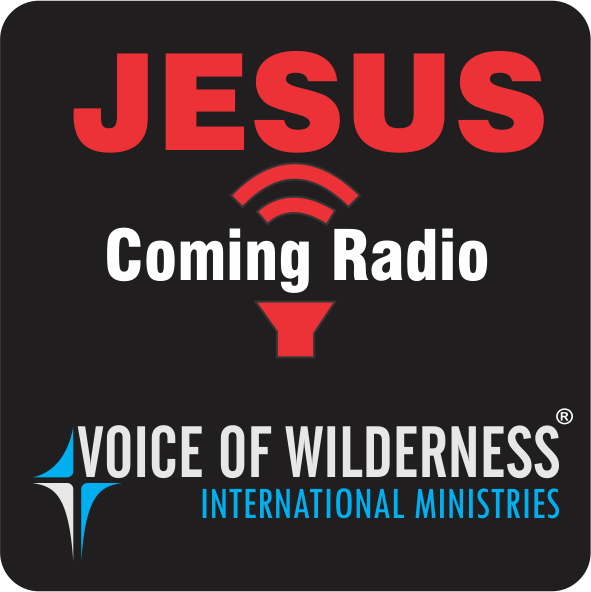 Copyright © Voice of Wilderness International Ministries All Rights Reserved.